This was such a fun and easy activity! 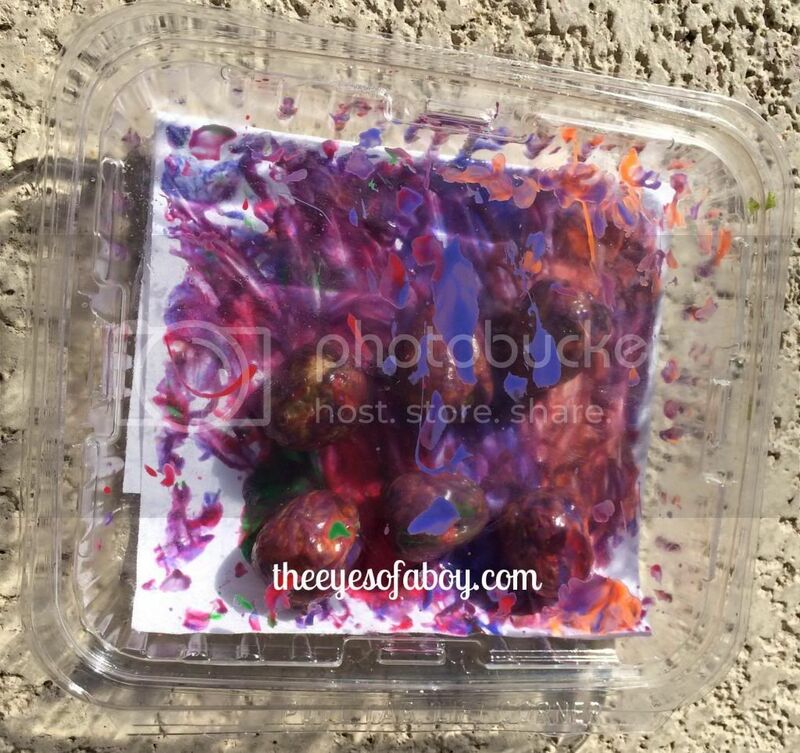 I had an empty clear plastic take-out salad container, and I thought it would be great to recycle it for an art project. First, I placed a piece of white paper into the bottom of the container. Then, we squirted some red, orange, blue and green paint onto the paper. Little J is learning colors right now, so he was excited to (try) to say the names of the colors as we put them onto the paper. 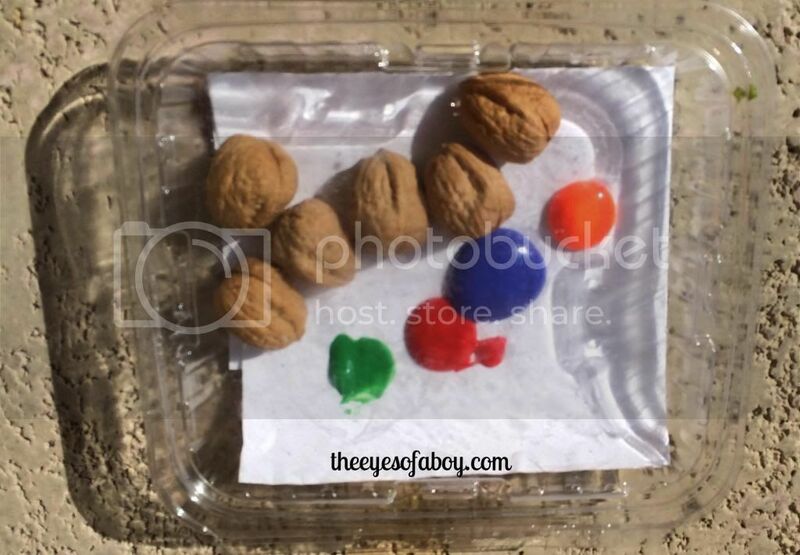 Next, we added a bunch of walnuts into the container and put the lid back on. I gave Little J the container and he got to work! 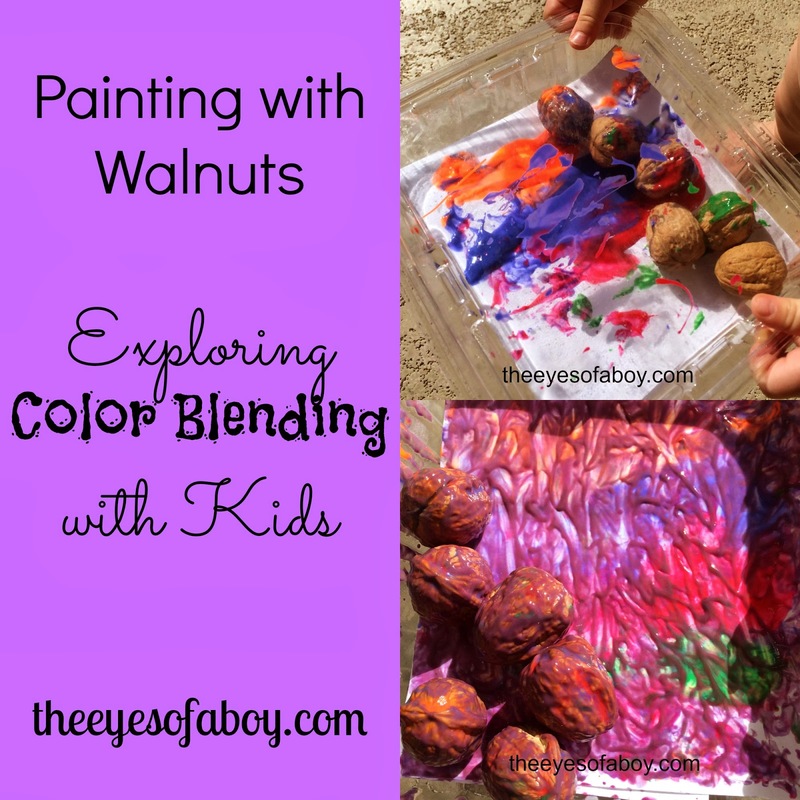 He started shaking it and moving the walnuts all around to blend the paint. This was a lot of fun for him to shake it and watch what happening inside at the same time! 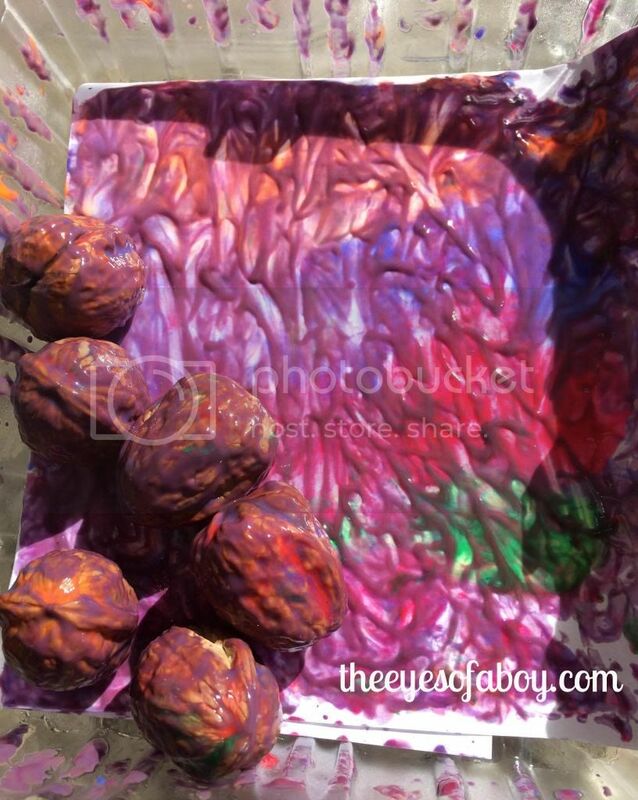 Since the container is clear, you can really enjoy seeing how the colors blended together. Blue and red made purple, there was some brown created, in there too. The end result was very cool! The paint and walnuts made a textured look on the paper. 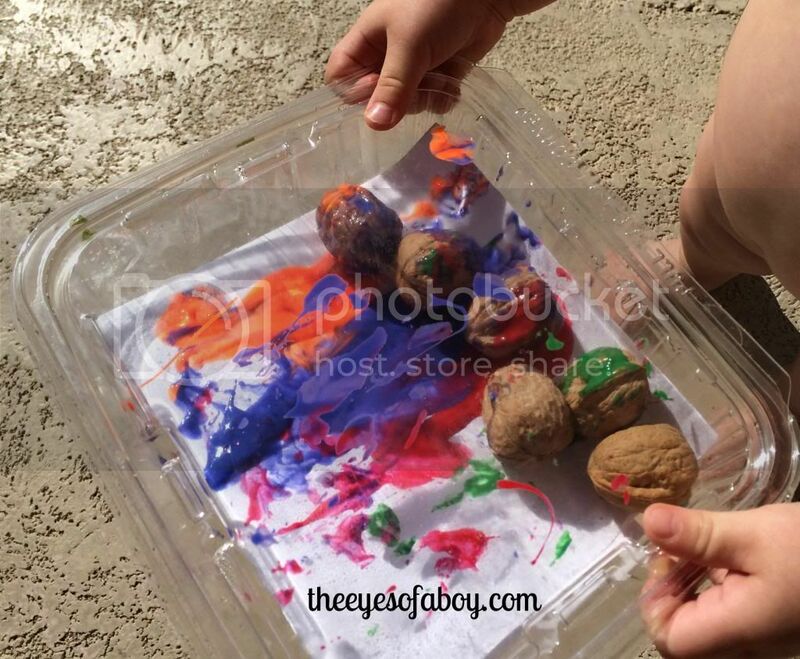 This was a great learning activity for Little J, as it incorporated motor skills for shaking, and promoted color recognition throughout the activity. It would be a fun idea to take the paper once it dried, and create it into another craft, such as a card or wrapping paper for a small gift.